I love FIFA soccer games and every year EA Sports somehow takes this pre-existing franchise and turns it into something unique and FIFA 09 for the XBox 360 is no exception to the rule. Even though the gaming soccer camps have been neatly divided into EA’s FIFA series and Konami’s PES series, I’ve always stated that FIFA had the edge with better graphics and dare I say it, better gameplay and with 250 core gameplay additions to this latest incarnation, one can only enjoy just how good this game is. Custom Team Tactics —Become a first-team coach with the power to tune and balance 11 tactical sliders for 140 attacking and 40 defending options (more than 50,000 combinations) so CPU players and your team perform just like the real-world team or how you think the real team should play. Save your tactics to make strategic decisions to exploit your opponent’s weaknesses during the game. Plus, share your strategies with friends online*. Some of new core gameplay additions are quite impressive and at the end of the day, gives more control and realism to the player. For instance, the player has more control over not only the ball but also the speed of the ball. The game also calculates player momentum physics by using the speed and weight of the player to calculate gaming tactics. Even though much of these core gameplay modes cannot be seen, you really need to experience the title hands on to see all the changes made to this franchise. EA have added some tweaks to some of the gameplay modes, for instance, “Custom Team Tactics” now allows you to play as a coach for your team which means you can play, coach and manage. The “Be a Pro” mode now includes career mode which adds a true depth of realism to the game. However, even if you are just a casual sports player in the console world, EA Sports have not forgotten about these gamers and they can still pick up the controllers and have a satisfying soccer experience but the beauty of the game is that you can actually grow as a player which allows for almost endless gameplay options. The online mode of FIFA 09 offers more choices than a candy store (well, not really but…) which allows soccer fanatics to download the latest updates from their favourite leagues. The “Be a Pro” option has also been transferred online which means you can play as against gamers online, each controlling one character which as realistic as it comes. Don’t have XBox Live? That’s ok as the game allows you play up to four players off-line for some true gaming fun and is great for having a group of friends together as you attempt to kick the winning goals. 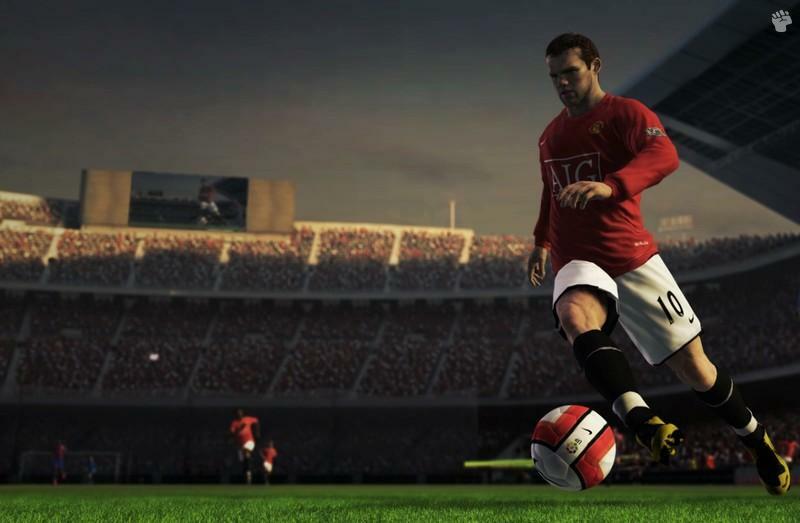 The control system has been tweaked since last year and once again feels perfect on the XBox 360 controller as you perform a variety of realistic soccer maneuvers and the defense and offence tactics of the game feels even better than previous versions. The new moves can be performed by using the shoulder buttons and the right analog stick, making you almost like David Beckham on heat. Still not liking the control system? Prefer the Konami control system? Well my sporting friend, EA allows for total controller configuration control that allows you to setup the controller just how you want it. 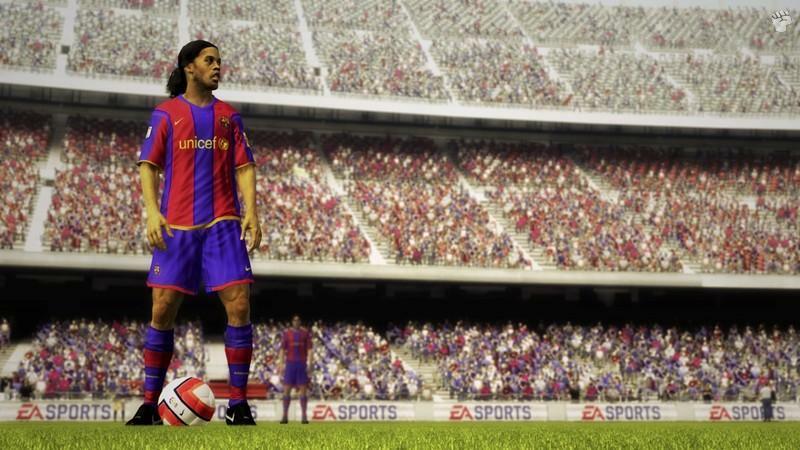 Graphically, once again FIFA is the king of the hill and it’s pure eye candy with almost photorealistic graphics. The players move with a true fluidity of unparalleled proportions. 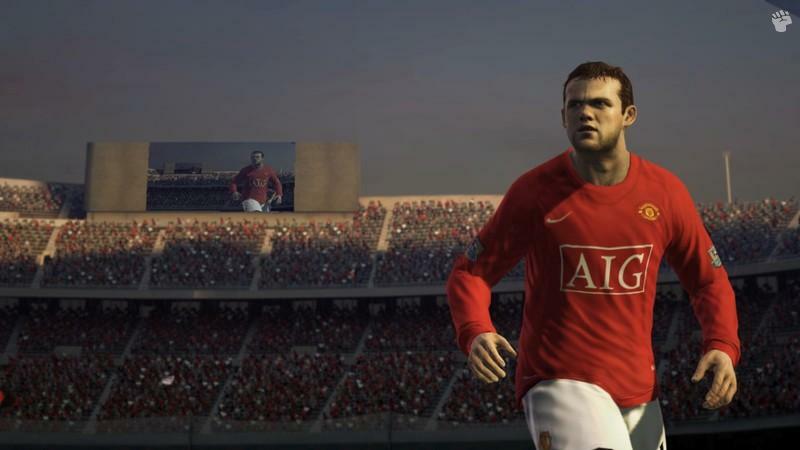 Match that with extreme detail on their uniforms and some of the most realistic background stadiums that we have seen and FIFA 09 must be seen on an LCD or Plasma screen for the amazing attention to detail. A beautiful colour palette, true real-world physics (including weather) and this is the most impressive soccer game to date. As to the music, once again EA has their pumping soundtrack to match the gameplay and realistic commentary (as per usual) and soccer sound effects to thoroughly immerse you into this game. 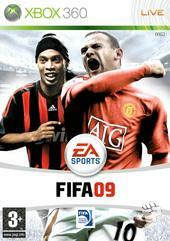 At the end of the day, FIFA 09 is one of the most amazing soccer experiences on the XBox 360 with superb gameplay, eye-catching graphics and good old fashioned sporting fun which game be played by a variety of different levels of gamers. The new control system and tweaks to the game are perfect and this is definitely a runner up for Sports Game of the Year!